PERRY STREET MINI-LOFT. Unique, large, light-filled studio, more like a mini-loft, with south, east and north exposures from six oversized windows. 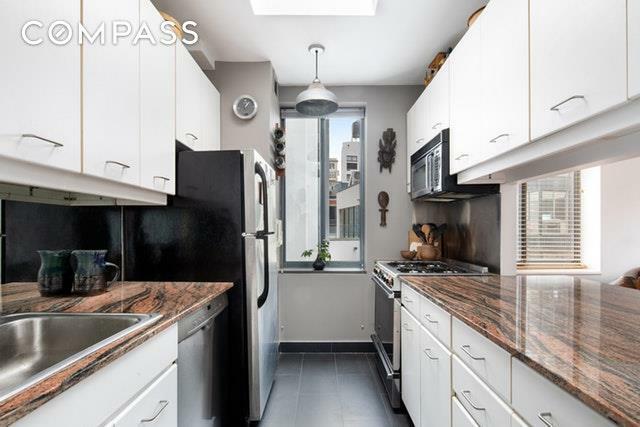 Full separate windowed kitchen, excellent closets, almost 9 foot ceilings and gallery entry perfect for your art. 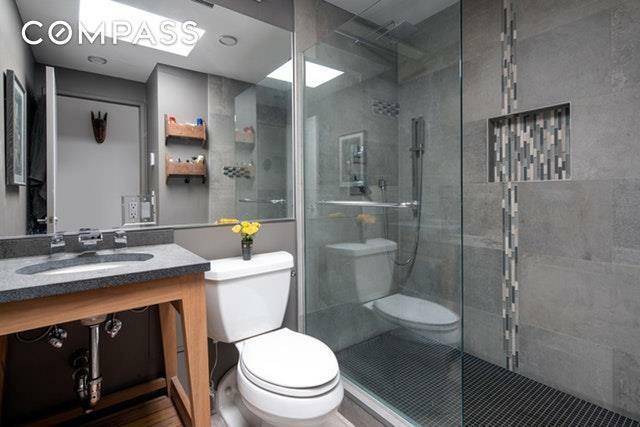 Stylishly renovated bathroom with radiant heated floors. Two skylights. 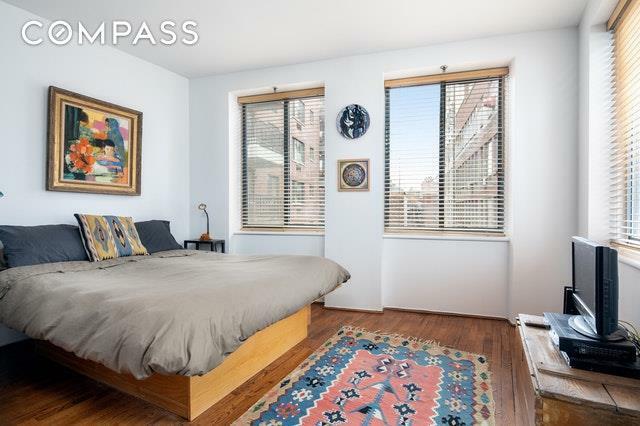 Desired 24 hour doorman building on charming cobblestone-lined Perry Street adjacent to the Hudson River Park. Laundry every floor and spectacular common roof deck overlooking the Hudson. 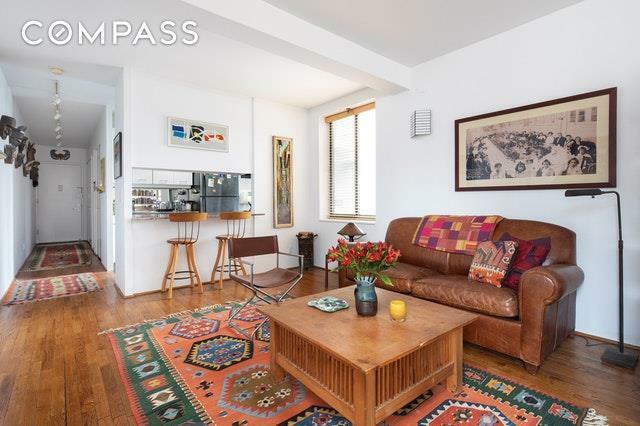 Enjoy the relaxed West Village lifestyle with a plethora of cafes, restaurants, interesting shops, the Saturday Abingdon Square Greenmarket, the new Whitney, the Highline and more all within minutes of your front door.